Born in Melbourne, James O’Brien attended high school and University in Queensland, graduating with a Bachelor of Music from the Queensland Conservatorium in 2001. Melbourne-based since 2008 O’Brien formed Darling James as a vehicle for the songs he was piecing together late at night in bedroom recordings while also touring extensively as a sideman for other acts. Of course, O’Brien is no stranger to the Australian music scene and has delved into many projects since he first came to attention with seminal Brisbane come Melbourne indie-darlings The Boat People. This is the band with which he would experience and endure most, as a co-frontman and songwriter of at least eight Triple J high rotation singles from three acclaimed albums that also made their mark on Los Angeles’ KCRW and the UK’s Radio 1. They travelled to the U.S. no less than eight times (playing South By South West twice) toured the UK multiple times and played on home soil at the likes of Big Day Out, Woodford Folk Festival, Valley Fiesta, Sunset Sounds and support slots for the likes of David Byrne, The Shins, Powderfinger, Crowded House, Washington, Tim Rogers, Augie March and countless headline tours. Beyond this list, O’Brien co-wrote and sung YesYou’s breakout radio hit “Half Of It” in 2011 and worked as side man in the much-lauded Machine Translations with whom he toured nationally multiple times, performing with people such as Mick Turner (Dirty Three), The Church, and Jim Moginie (Midnight Oil). Working as bassist for Kate Miller-Heidke O’Brien performed at Splendour In The Grass and Southbound as well as tours in Australia, Singapore and Vietnam. 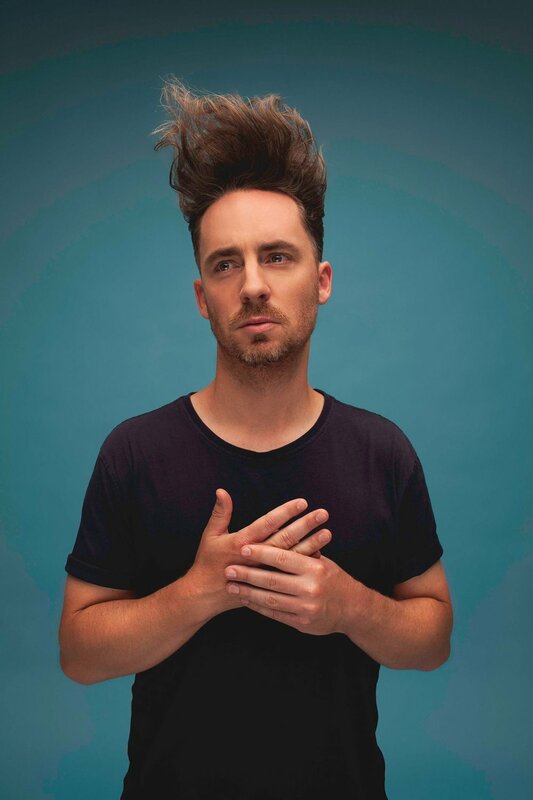 As Darling James, O’Brien produced and music directed “8 First Dates” at the 2014 Melbourne Fringe Festival which featured debut performances of new songs by Ainslie Wills, Angie Hart and Jae Laffer amongst others, backed by Darling James. In 2015 Darling James released their debut single, the hypnotic, sizzling, building “Ultimatum Talk”. From a beguiling ukulele loop to a psych-rock explosion of organs and drums “Ultimatum Talk” is a masterclass in minimalism and personal disaster and quickly connected with listeners as it was added to full rotation on Triple J and knocked up over 100,000 plays on Spotify. Sold-out hometown shows and interstate tours followed including shows with The Church and Dan Kelly. With an E.P. completed, second single “The Itch” is due for release in March 2016 before the band drop their first highly anticipated collection of music. It’s going to be a big year forDarling James. As well as his work as an artist and touring musician O’Brien also lecturers in songwriting and music theory at Melbourne’s JMC Academy and is currently working towards a music event at Melbourne’s Malthouse Theatre as guest producer.